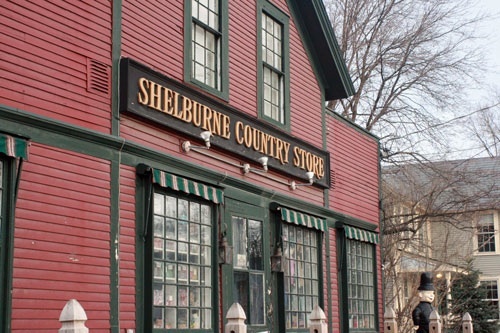 Shelburne Vermont offers several unique characteristics not found within any other place in the country, including an outdoor museum and a historical farm estate open to the public. Located right next to Lake Champlain, Shelburne has multiple opportunities for real estate with lakefront along with those that share lakefront or are close to lake access points. Shelburne offers multiple cultural opportunities within the town and easy and quick access to the larger cities of Burlington and Middlebury. 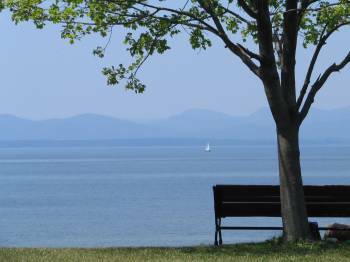 Shelburne is also host to a local vineyard, art gallery, apple orchards, a couple of well stocked nurseries, and a residents-only town beach with boat launch on Lake Champlain. The center of town offers a unique blend of cutting edge restaurants, local market, bookstore, coffee and wine shops all within walking distance of each other and the town hall, library, and volunteer fire department. Shelburne not only has many thriving local artists but also a local artist studio in case you decide to take up a craft of your own. There is also the Furchgott &�Sourdiffe Gallery and the�Shelburne Country Store offering access to many local artists creations alongside classic country store staples. Shelburne offers short commutes to both Burlington (20 minutes) and Middlebury (25 minutes). There are multiple buses running throughout the day that take you right into downtown Burlington. The short commute times and easy bus access make Shelburne a prime location. A home in Shelburne lets you live away from the business of downtown Burlington while also allowing easy access to year-round Burlington waterfront activities or shopping within the Church Street Marketplace. Contact Century 21 Jack Associates for a tour of all that Shelburne offers. There is also Shelburne Farms, a local farm that makes cheese and bread while being open to the public to view the animals, history, and walk the grounds around some of the historical estate buildings. There are also seasonal activities such as making syrup and concerts with local musicians and artists. The town itself has Shelburne Museum, an outdoor museum offering not only a core of timeless treasures but also regular exhibits brought in from other areas around the state and country. 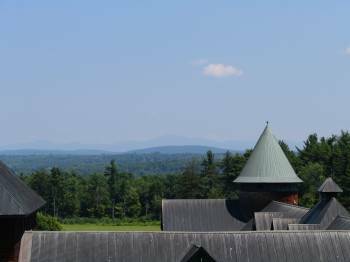 It is also just outside of the Shelburne Museum that hosts many concerts from popular musical artists such as Jackson Browne, Alison Krauss, George Thorogood, David Bryne, and more in an outdoor setting overlooking the Adirondack Mountains.